In a "merger of equals", Vodafone Hutchinson Australia will have the slimmest of majority stake with 50.1 percent, while TPG's stake will be 49.9 per cent. "The merger will create a more effective challenger to Telstra and Optus," TPG said in a statement. TPG estimates the merged company will be worth $15 billion, with the deal to be finalised next year. After the merger, the combined entity will re-list on the Australian stock exchange as TPG Telecom Limited. TPG's chief executive David Teoh, would be the non-executive chairman of the merged group, while Vodafone boss, Inaki Berroeta, would assume the position of CEO and managing director of the new entity. Whether or not the merger proceeds will depend on the companies getting approval from the Australian Competition and Consumer Commission (ACCC) and the Foreign Investment Review Board (FIRB). The competition regulator has said it is expecting to receive a submission from TPG and Vodafone, which will trigger a 12-week review. "The review will look at competitive impacts in mobile services, where TPG now has a growing presence, and also fixed line, where Vodafone is a discounter," the ACCC spokesperson said. "We will also explore likely impacts in related markets, such as spectrum acquisition markets, wholesale services, and mobile roaming." Vodafone Australia earned 30 per cent more revenue than TPG in the past financial year — $3.6 billion versus $2.5 billion. Both companies are separately worth about $7.5 billion each. 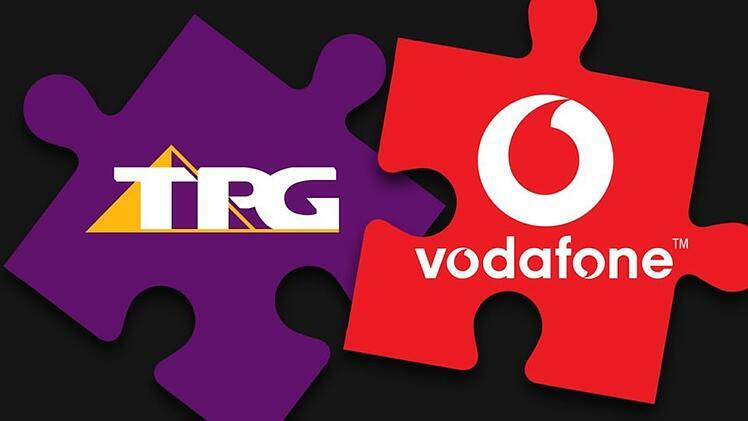 The merger will bring together Vodafone's strength in mobile and TPG's broadband market share. TPG reported that it had 1.9 million broadband subscribers, with 22 per cent market share. This is an area in which Vodafone does not compete. Vodafone has 6 million mobile subscribers, and has 19 per cent share of the mobile market. In comparison, TPG said it only has 400,000 mobile subscribers, and 1 per cent share of the mobile market.